ONE OF A KIND! Quintessential Village Apt. This unique 1 Bedroom, 1 Bath apartment is conveniently situated in the heart of historic Greenwich Village. It is just steps away from off Broadway theaters, exquisite shopping boutiques, famous restaurants, cafes, bars, jazz clubs, celebrity hang outs & homes (e.g. Sara Jessica Parker, Hugh Jackman, Billy Joel…), and other nightlife, NYU, Washington Square. Explore quaint tree-lined Village streets, stroll along the Hudson River promenade, take a short walk to trendy SoHo, Tribeca, Chelsea & Meat Packing districts or travel around the city by subway located at the corner. Our unique apartment is a comfortable peaceful sanctuary to relax and rejuvenate after fun filled days and nights on the town. This quiet apartment faces a courtyard. Its interior captures the quintessential artistic character of the classic Greenwich Village experience. Its Bohemian style and chic décor create a charming living space. This creative apartment was decorated by an interior designer, sleeps up to 3 and features many amenities such as artistically hand-painted walls/ceilings, newly renovated bathroom and eat-in kitchen, fireplace, all the comforts of home (Hi-speed internet, WiFi, cable TV, coffee maker plus complimentary coffe and tea, toaster, bath supplies, hair dryer, iron, umbrellas...), and with an internet cafe at the corner you don’t need to bring your laptop to stay in touch. Rates are $175 - $250 per night depending on the season and length of stay. CANCELLATION POLICY: A sixty (60) day notice is required for cancellation. Cancellations that are made more than sixty (60) days prior to the arrival date will incur no penalty. Cancellations or changes that result in a shortened stay, that are made within 60 days of the arrival date, forfeit the reservation/damage deposit. Early departure does not warrant any refund of rent. PLEASE USE EMAIL FOR REQUESTS! Only call me for short-notice requests (arriving within 48 hours.) Thank you. As long time residents who love Manhattan, we will be happy to give you a New York City orientation and share some tips on places of interest that you will not find on tourist maps. This is a historic area of Manhattan (Thomas Paine lived around the corner) and provides a cozy neighborhood feel with tree lined streets and no high rise buildings. It is also vibrant area with plenty of activity, sites, charm & character. The apartment is conveniently located in the middle of Manhattan's finest neighborhood. This unique apartment is in a quiet building and yet many fun activities, sights and transportation are just steps away. All the comforts you need are provided - Our home is your home! Such a beautiful place. So charmingly decorated. And come on, you just can not beat the location. Yes, it is three flights up the stairs, but that just means you can have that extra slice at at Joe’s Pizza guilt free 😉. Fantastic location. Kind, generous, responsive and accommodating host. Outstanding weekend. 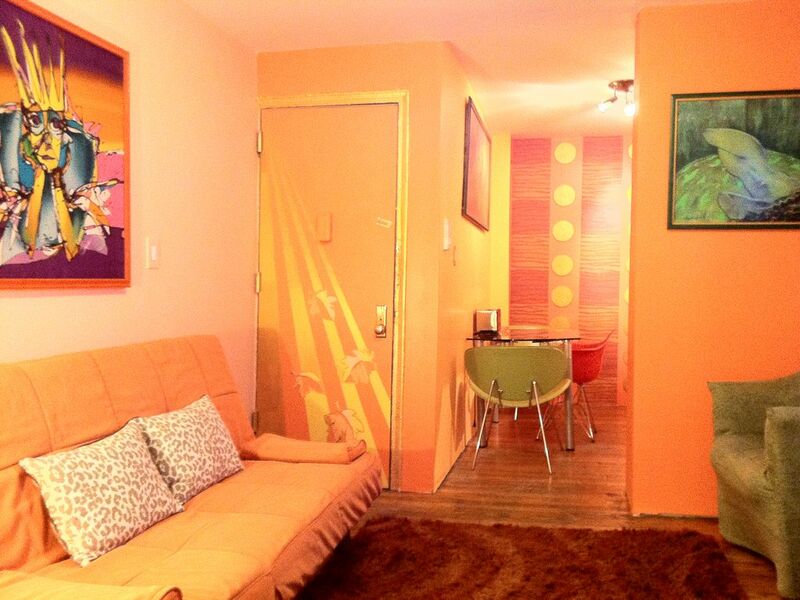 Wonderful little flat on Christopher st right off Bleeker. Easy walk up of 3 flights and proximate to everything. Clean, well stocked and wonderful hostess. Lots of towels, kitchen wares, and comfortable bed. I would definitely stay here again. One could really get a taste of the city in this neighborhood. Great restaurants, convenient to subways. Marina was very helpful with getting around. The apartmant was quiet and the neighbors friendly. All necessities from soap to coffee were supplied. We loved it. Just be aware that you take the stairs to the fourth floor. Marina is a fantastic host, very accommodating and her West Village apartment has everything one could need for an enjoyable stay in an unbeatable location!